A Christmas charity fun run has secured the backing of a north-east ice cream producer as this year’s event draws nearer. 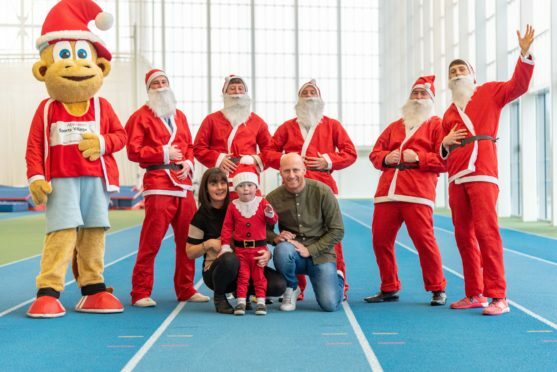 The Aberdeen Santa Run will return for its third year at the Aberdeen Sports Village, raising money for Children’s Hospices Across Scotland (Chas). Yesterday it emerged that north-east food firm Mackie’s has signed up to support the event, which will take place from 10.30am next Sunday, December 9. Last year, 353 people braved cold weather to complete the one-mile dash and 5k race, raising more than £1,500 for the national children’s hospice service. Organisers hope that the third annual event will be even bigger. As well as the races, there will be a Christmas market on the indoor track at the centre selling gifts and food. Across the Grampian area, Chas cares for 46 children with life-shortening ailments through its Chas at Home team and Rachel House and Robin House hospices.